When it comes to grain harvesting, John Deere has a wide range of combines that are designed to help you take care of the task at hand – but what about attachments? There are several add-ons and options you can deploy with your machinery to boost its efficiency and make it even more versatile out in the field. Let’s take a look at some of the grain harvesting attachments you can use with your combine to enhance productivity. This auger boot adds nine inches of reach and reduces downtime. Its one-piece design extends time to blow off, and it is available as a retrofit for all high-unloading rate systems. When it comes to harvesting, crop producers rely on several John Deere combine parts to improve their daily operations. If you feel like you aren’t getting the most out of your crops or aren’t fully maximizing your yields, there are parts and attachments that can help. 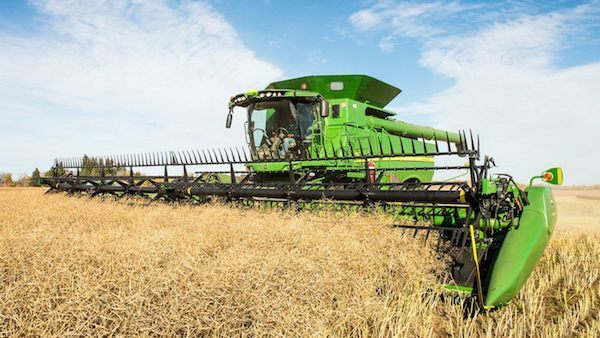 By understanding the uses of different combine parts, you will be able to determine which are best to bring your harvesting operations to the next level. For this reason, we’ve put together a list of John Deere combine parts that can help you maximize production and improve efficiency season after season and acre after acre. Enjoy!